I recently acquired this unique ca. 1922 Underwood 46, and I am eager to share it with the crowd here to see what you think. Since I previously never even heard of such a thing existing, I pounced on it. 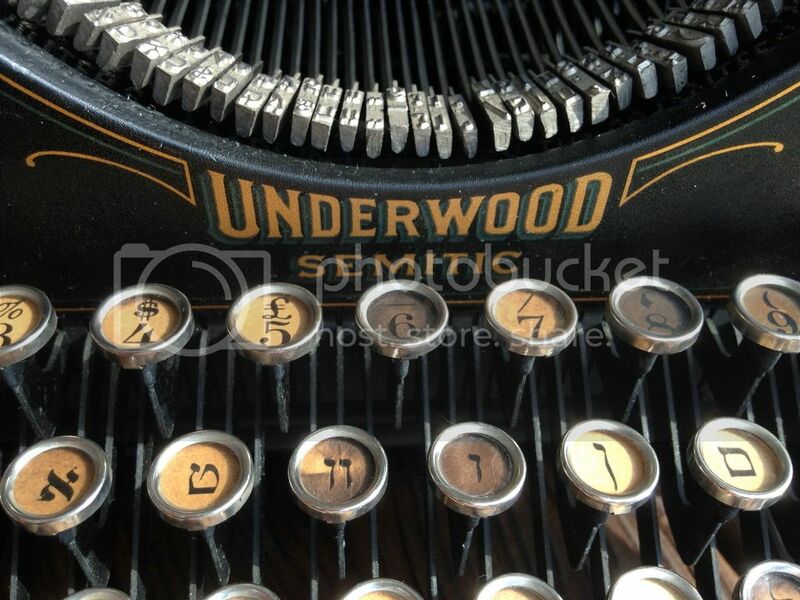 As you can see, it is branded as an Underwood "Semitic" model, with the Hebrew alphabet. (It is also the first prewar typewriter that I have that actually has a number 1 key, since there's no lowercase L. It also has both the US dollar and British pound signs, as well as the upper and lower quotation marks.) According to the labels, it looks like it came from Chicago, where it was owned by the Jewish Home for the Aged. 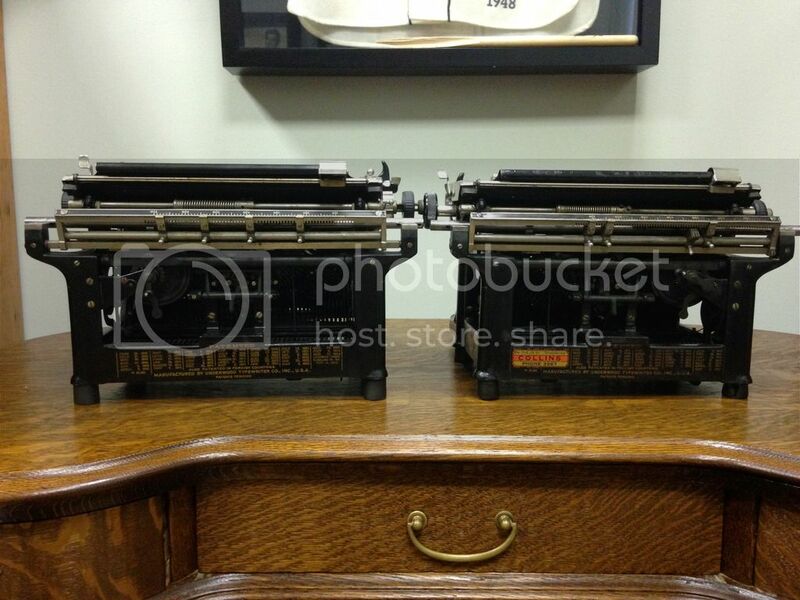 Fortunately, my next-most recent acquisition was a standard Underwood 5 from the same era, so I could easily compare and contrast them side by side. The 46 is noticeably larger, in order to accommodate the extra keys. You may notice that the carriage-return lever is mounted to the inside of the carriage on the "Semitic" 46. Since Hebrew is written from right to left, the entire carriage mechanism has to work backwards, which you can definitely see from the rear view. In brief, I think this is a really exciting find. There aren't many 46s out there, much less in this pristine condition--and even those that I noted above that I've found pictures of online are fundamentally different as they type from left to right, not right to left. All I can think right now is that this should probably be in a museum somewhere, not in my office. Just saying, you can't do a perfect comparison cause the regular Underwood is a later model. But besides that, COOL! I wonder why it has that? Ive seen different language Underwoods, just not with that name. I wonder if these were... like... made for certain countries or something? Well obviously, but like certain special export models? I find it interesting that some manufacturers had a 1 key in an early model and then dropped it in later models only to bring it back again at a later time. My Corona 3 from 1920 has a 1 key as well. Great post, Mark. I don't think it belongs in a museum as it's more likely more people will get to see it - even if only in photos - with you as the custodian. Most museums 'store' a great deal of their inventory and have only a percentage on actual display. 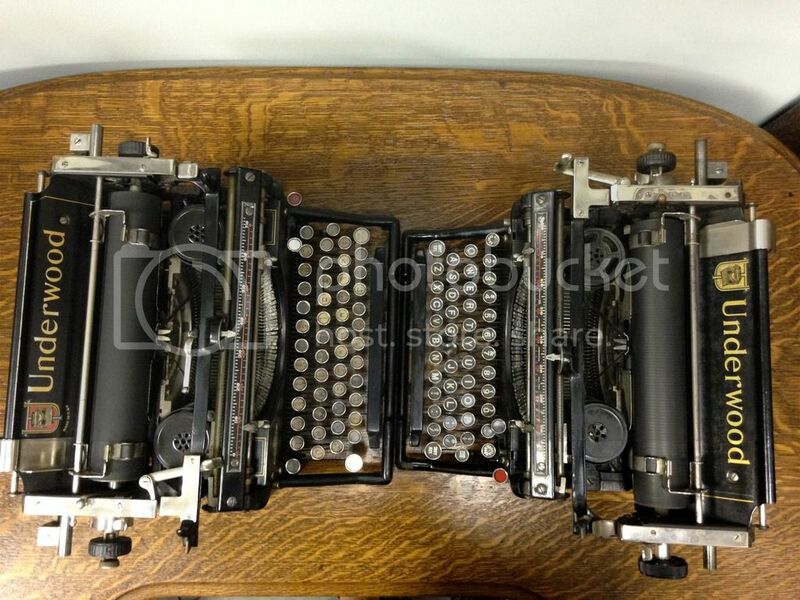 Smaller, typewriter-specific museums might be a better place, but which one, where? 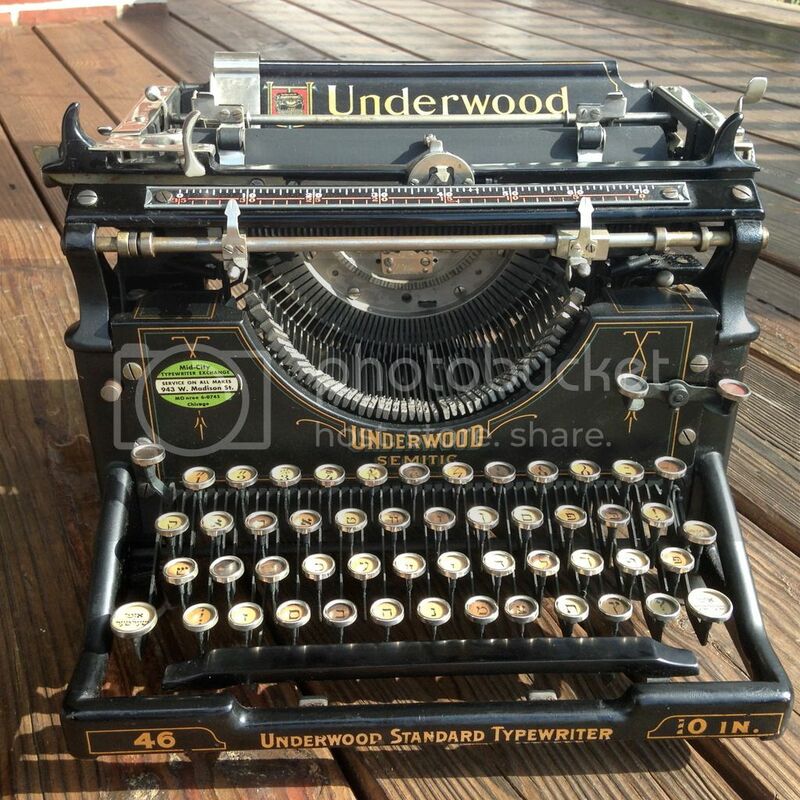 And it's not like this was the only one that Underwood made, so I'd keep it, or sell it, and in the meantime what you're doing is best, documenting and presenting it. I find it interesting that some manufacturers had a 1 key in an early model and then dropped it in later models only to bring it back again at a later time. It was more of a case of what was being ordered. In my own collection the number 1 key is well represented through the decades, and there's no evidence that it was ever 'dropped'. If you think about it, the number one key is a bit of a waste on a keyboard that has an L that can replace it, and I'm sure most buyers would have preferred an extra character of some kind instead. As for pre-war (I assume Mark is referring to WWII) models, there were plenty that were fitted with a 1 key; I have a Corona 3 with one as well (another that doesn't), and less common machines such as a 1908 Empire Model 1, and a 1919 Noiseless Model 4. Very interesting item, indeed. Thanks for letting us see it. Handsome type too! The model designation "Semitic" is a little dated, to say the least -- and somewhat offensive perhaps, even then. "Hebrew" would have been more appropriate, as well as being more accurate (it's the Hebrew alphabet, after all). How is the use of Semitic dated or offensive? 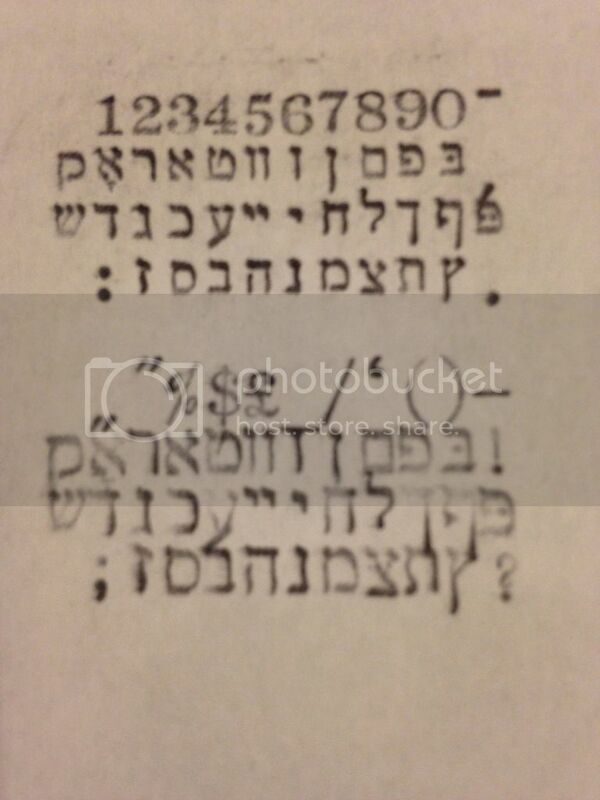 It's a commonly used term, even today, to describe a language family that Hebrew is a part of. 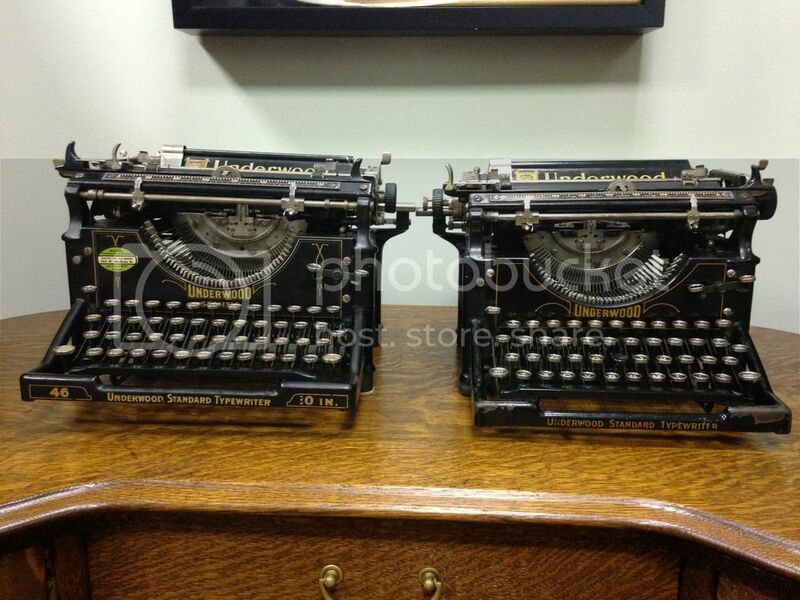 And for all we know there was a Semitic model Underwood with an Arabic keyboard available too. I have to disagree -- the word carries a whiff of prejudice from when the typewriter was made, 100 years ago give or take. It may be quaint now, but back then not so much. Think of the word "anti-Semitic" as one example. While it might possibly describe someone who doesn't like Arabs either, in common parlance it has a very specific meaning, i.e. anti Jewish. 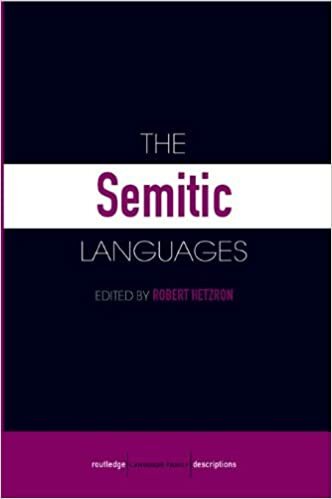 "Semitic" describes a family of languages, as you point out. So it's not sufficiently descriptive for a machine that's using the Hebrew alphabet. Anyway, do you know if there was a "Semitic" model Underwood that used Arabic script? Just as an update: I had our local scholar-in-residence take a look at this thing, and he was very emphatic that it is a Yiddish typewriter, not a Hebrew one, since it includes a number of characters that are specific to Yiddish, which attempt to mimic the sounds of the more German dialect. FYI. This was great to read about. Thanks for sharing. It reminds me of a story in The Atlantic about Martin Tytell in New York. 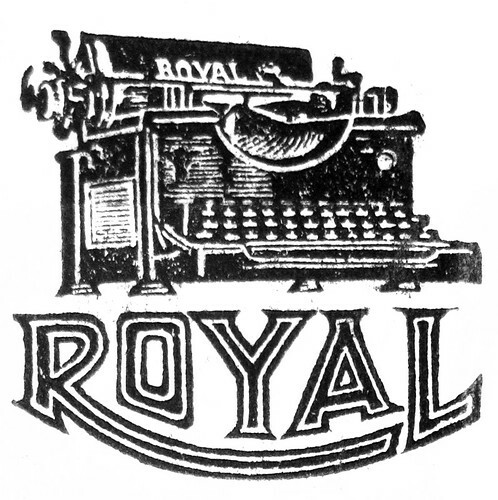 He was a typewriter repairman who swapped typewriter alphabets for the Armed Forces overseas. Over his 65 years in the biz, he had a few "interesting" stories to share with the article's author. Yes! Here's a link to that Atlantic story on Tytell. And this is quite serendipitous: I JUST (today) acquired a genuine Tytell machine! This one is a Remington 16 (I believe) that Tytell repurposed with a Russian/Cyrillic keyboard. Russia is kind of my thing, so I'll be able to use it far more frequently than my Yiddish Underwood. I can't wait to get my hands on it. I found it on Craigslist in upstate Vermont, and had my friends pick it up on my behalf. Still, it may be a matter of months before I can figure out a way to get it from Vermont down to me here in Philadelphia. I'll happily post photos when I get it!